Day30: Update. She is weaned from Nitric Oxide. It’s the medicine for hypertension given through inhalation. She has to be off from that because it’s not something I can give her at home. Thank God for 2 days now, she has been tolerating relatively well without the Nitric oxide. She still have episodes where her blood gases gets acidotic though but she comes back again to a good blood gas. She is now taking 2 oral medications for pulmonary hypertension (oral means good..yey!) And the medical team believes she is absorbing it well. I had to ask them regarding absorption because Dana has diarrhea 3 days before stopping her feeds. She hasn’t had episodes yet because she isn’t fed, although she has Total Parenteral Nutrition (TPN) and lipids through her veins. They think she is absorbing her oral meds for pulm hypertension since she doesn’t have episodes of clamping her lungs. I am happy with that. 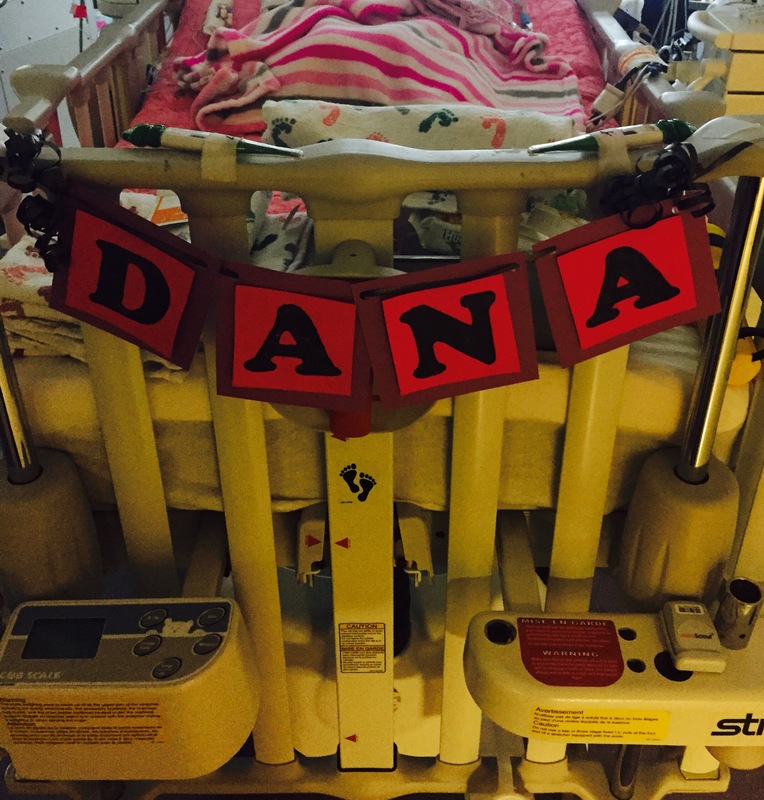 GI consult has been done for Dana. They stopped oral feeds 3 days ago and today started her with 2cc continuous feed to start the gut working again and observe. They will wean down on her Morphine drip in attempt to help wake up the bowel. They made me understand that since babies in ICU and on the vent require sedation, it can affect the bowels. And when babies build tolerance on meds like Morphine, the dose is increased thus, possibly making the bowel more asleep. I asked if my baby has an infection, they said she doesn’t have. (Yey!) . As they will wean her off the morphine, they will increase on her other sedation iv med, not ordered as drip just scheduled. This according to them, will continue to make her comfortable while she is still on the vent. So after 30 days..she is off from the oscillator..off from her cardiac meds on drip (epinephrine and milrione .. off from her bumex drip ..off from paralytic agents (vecronium, precedex, nimbex — not infusing at the same time)..off from Nitric Oxide. And now they will slowly wean her from the ventilator and morphine drip. There are still goals to achieve but we are so thankful that important goals have been met. She is a strong baby and she is a fighter. Thank you for your prayers. I’m back to working again and I drive 2 hours to Tyler, then drive 2 hours back here in Dallas when I’m off to be with my husband and Baby Dana. It’s not getting easier for us physically but your prayers give us miracles and strength. Being focused at work and even on being “normal” seems to be a mission as well. But as always, the support of everyone is keeping my head and composure together. We continue to pray for our baby. We continue to that the Lord for his miracles as He has never left our side. We continue to thank everyone, even those who only knows our baby by name, for the prayers and well-wishes. We don’t know what the future is but we know what we want it to be and we know God listen to our heart’s desires. Now and always..we are very grateful.